Spastic cerebral palsy is a disorder caused by damage to the motor cortex of the brain. This damage occurs during or shortly after the delivery of a baby. Cerebral palsy is sometimes caused by infections in the mother, such as Group B Strep, that pass to the baby during delivery. Most children with cerebral palsy are diagnosed as infants, but sometimes the condition is not detected until a few years later. 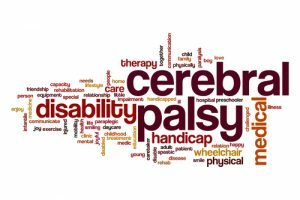 Spastic cerebral palsy is the most common type of cerebral palsy, appearing in over 70 percent of cerebral palsy cases. This condition stem from a brain injury but typically results in physical, rather than mental, disabilities. Spastic cerebral palsy is accompanied by specific physical symptoms. Children exhibit a “scissor gait,” and look as if they are bending down while walking. They tend to walk on the balls of their feet (or tiptoes) with their ankles turned in. Physical symptoms range from mild to severe: some children are able to walk without help while other may require a wheelchair or a walker. Spasticity in the body will negatively affect many every day tasks, such as getting dressed, going to the bathroom, showering, and eating. Speech can also be impacted and come out slurred or slow. Individuals with severe spastic cerebral palsy will be unable to live independently and without a caretaker. Physical therapy is available to manage spastic cerebral palsy, but there is no cure. Medications and surgeries may improve the condition, but the effects of this birth injury are irreversible. Was your child diagnosed with spastic cerebral palsy? You may be entitled to monetary compensation due to the negligence of your delivery doctor. Children with cerebral palsy require lifetime of costly care and treatment physical therapy. Thurswell Law will help you get the financial compensation you need to provide the best life for your child. Call us today at 248-354-2222 for a free consultation regarding your birth injury case. No recovery, no fee.